Finding alternative snacks to crisps and nuts is a bit of a pastime of mine. I do love crisps and I really miss nuts. I absolutely love nuts, but they unfortunately disturb my digestion. Other people are just plain allergic to nuts and can have profound reactions even if they are in the same room as them. Fortunately I'm not like that, but I do avoid them at all costs. 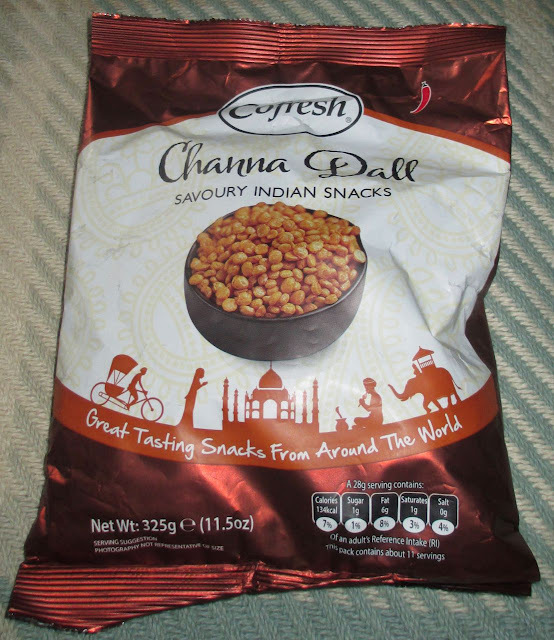 Finding these Channa Dall: Savoury Indian Snacks looked like a perfect treat. They were produced by Cofresh, which is a favourite brand of mine. 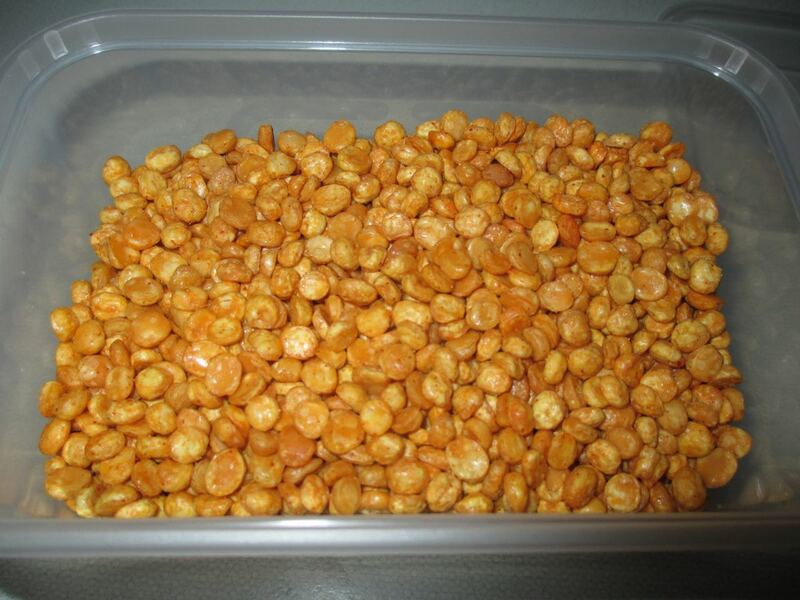 I poured out the huge bag of Split Chick Peas into a sealable tub and decided to nibble at them over the next few days. The little curry flavoured Split Chick Peas filled the tub quite cheerfully and trying not to think of bird food I scooped a few into my palm. They tasted of a mild Turmeric curry flavour, with a hint of chilli heat to them. At first I thought these were not a very interesting flavour, but noticed pretty quickly how moreish they were. Then it happened. Something I've never found before in any alternative snack to crisps and nuts packet. No, I didn't find a crisp... 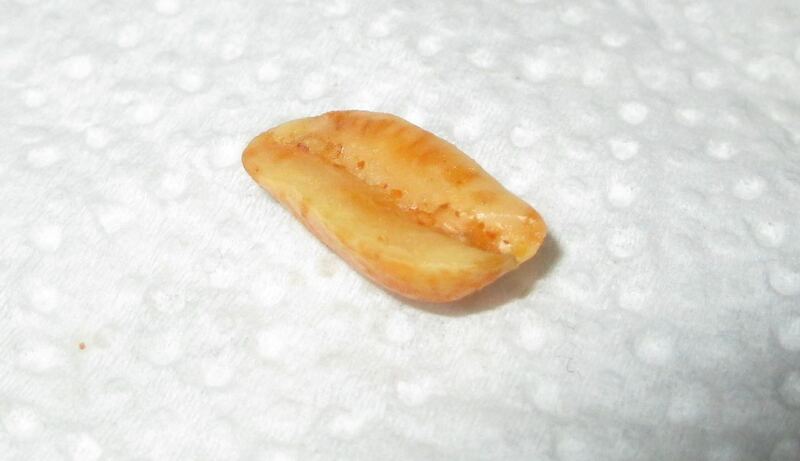 But what I did find was half a peanut. 325g bag with 28g suggested servings containing 134 calories, 1g of sugar, 0g of salt and 6g of fat. Ingredients included; Split Chick Peas, Rapeseed oil, chilli powder, Turmeric powder, and salt. 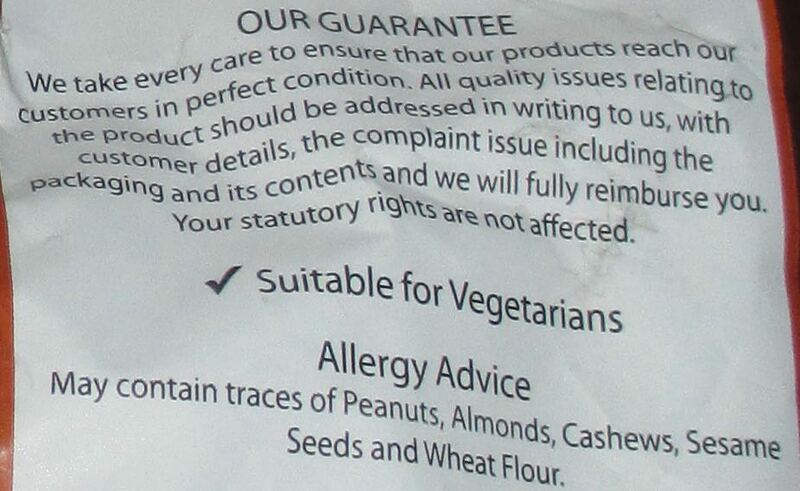 Suitable for vegetarians, but certainly not for people with nut allergies!